Fiat received most of the credit, but the 1987 Alfa Romeo 164 was a genuine Alfa Romeo, despite what some might retrospectively suggest. In 2014, then Alfa Romeo chief, Harald Wester illustrated the marque’s latterday decline with an image of the 164, stating that by making it front wheel drive, it had diluted the carmaker’s bloodline. But instead he demonstrated both an eloquent disdain for his forebears and a blind ignorance of history. Dismissing the 164, perhaps the most accomplished and rounded product the troubled Milanese car maker had produced since the 1960s, not only made Wester appear foolish, it belied and diminished Alfa Romeo’s achievement, particularly given the privations surrounding its birth. Viewed as the first Fiat-era Alfa, in truth the 164 had precious little Turin input. However its launch, in the wake of the Fiat takeover allowed this misapprehension take hold – one which has proven resilient in the thirty years since its introduction. Actually, the 164, fine car that it was, provided Fiat with far more credibility than they actually deserved, since few subsequent Alfa Romeos would be as well-honed, as durable or as superbly styled as this, Arese’s last gasp. The 1970’s were a torrid period for the Italian motor industry with the shock of the 1973 oil crisis causing an almost fatal paralysis. Alfa Romeo were by the decade’s end, Italy’s sick man, their balance sheet as awash with red as the shopfloor at their strife-riven Pomigliano d’Arco plant. With the Italian Government saddled to the failing car business, and a revolving door of management, setting the storied marque back towards profitability could only be product-led. By the late ’70s, Alfa’s product line was reliant on the front-drive Alfasud family with the 116-series rear-drive saloons making up the bulk of sales. While modifications to these models were in hand, Alfa Romeo’s engineers, under Fillipo Surace, were also developing a new modular medium/large platform to replace the rear-drive Alfetta/Giulietta models, dubbed Tipo 154/156. However, in 1981, with the programme well advanced, the Italian government slammed the door shut. Enter Fiat. With the Turin car giant already advanced with the Type Four programme, led by Sergio Camuffo at Lancia, Surace was presented with a way out of the impasse. However, the challenge of re-engineering the almost completed 156-series for an entirely different architecture was to be of the most onerous kind. Lancia’s Thema was taller and its bonnet line higher owing to Camuffo’s adherence to strut suspension, and re-orientated to a transverse location, Alfa’s existing engines would no longer clear the 156-series’ lower bonnet line. Eventually a solution was found. While the 164 would employ front struts, they would adopt the successful layout of the Alfasud, being inclined, with the bottom link sited below the wide lower wishbones, enabling a bonnet line only 7mm taller than that of the 156. Struts with transverse arms, reaction rods and an anti-roll bar would make up the rear. Installation issues also entailed the redesign of the inlet manifolds for the glorious Busso V6, this exuberant solution becoming one of the 164’s visual highlights. It did mean however that the finished car’s technical specification differed considerably from its Type Four stablemates. The other major point of departure was visual. The original Tipo 156 had been a rather uncompromising device, styled under the eye of Alfa design chief, Ermanno Cressoni. This shape had been refined considerably during the interim and had remained a strong contender until quite late in the process. From around 1981 however, Pininfarina had also become involved and in 1983, two competing proposals had been created – one from Cressoni’s centro stile, the other from Cambiano. Both designs adopted similar themes, with a re-establishment of the traditional prominent scudetto grille motif and a dart-like profile with a low, penetrating nose and high tail. However, centro stile’s car was a good deal more ‘industrial’, whereas the Pininfarina proposal, by Enrico Fumia was more classically elegant. One of the defining characteristics of the Fumia design was the groove which ran from the nose, flaring towards the rear, and encompassing the tail lights. Described as the ‘necklace’ which held the ‘jewel’ – the prominent Alfa scudetto – at the nose. In 1984 the Pininfarina proposal was signed off by Alfa Romeo management; albeit only after a good deal of persuasion over the narrow tail light treatment, which was initially resisted at Arese. With development under way, the original 156 programme was put to good use, prototypes with 164 running gear being used as early development mules, which slashed lead times and had the additional advantage of putting the World’s press off the scent. One gets the sense Alfa’s engineers knew this was their last hope, even calling on one of their retired proving engineers to help create a powerful front-drive saloon which would behave like a true Alfa Romeo. Meanwhile the company, still incurring huge losses, had reached a tipping point and the Italian government wanted out. Both General Motors and Ford showed interest, with both Alfa management and workforce in favour of a Dearborn takeover. But politics reared its head and in a similar manner to how Ford was rebuffed at Austin Rover, the Italian government turned to Fiat’s Vittorio Ghidella. After the early collaboration, Fiat’s involvement with the 164 programme proved negligible, and it’s said they had no idea how the car was shaping up until after they had taken over at Arese. It’s alleged that Ghidella was aghast when he saw the car, exclaiming, ‘This will kill the Thema!’ It’s also been suggested that there was some doubt as to whether the car would be proceeded with, but this appears to be speculation. One aspect where Fiat’s influence did make its mark was the 164’s interior. Designed by Pininfarina, it was a modernist, (and for a contemporary Alfa) logically laid out cabin. Initial proposals were for the use of richer materials, but with Alfa Romeo merging with Lancia, it was felt (and I can scarcely believe I’m writing this) that the interior ambience should be cheapened so as not to hurt the Thema’s prospects. Hence some of the switchgear was criticised for flimsiness and of course the bewildering (and problematic) ventilation controls were almost universally deplored. Overall though, the 164’s interior was modern, inviting, stylish and appropriately plush. Praise for the car was virtually unanimous when it launched at the 1987 Frankfurt motor show, all the more so because the 164’s elegance of line was such a surprise following generations of polarising shapes from Cressoni’s centro stile. Praise too once driven, since in 3.0 litre V6 form as launched, the Alfa was fast, suave and fine handling, even if the front wheels sometimes struggled with tractive effort. Soon, engine choice blossomed, ranging from the venerable four cylinder twin-spark 2.0 litre, a Lancia-sourced 2.0 litre turbo, and a VM 2.5 litre diesel powerplant, the 164 quickly became a sales success, not just in its home market, but across Europe, in the UK and even (by Alfa standards at least) in the US. In the UK, the press were as one in their enthusiasm, Car lauding its exterior and interior style, pace, fine handling (despite provisos regarding torque-steer and occasional tail-happiness), superior body rigidity to its Thema sister (a recurrent Camuffo-era Lancia bugbear) and sheer verve. Only the cabin fittings were severely criticised, and it took the honours over the equally accomplished E34 BMW 525i it was set against. For the first time in generations, here was a large Alfa Romeo saloon for which no excuses were needed and wonder of wonders, it soon developed a reputation for mechanical durability – testament to Alfa’s dogged development. A facelift arrived 1993, gaining US-spec bumpers with chrome accents and slimmer headlamps which lost Fumia’s elegant dihedral chamfer which sympathised with the body crease and was originally intended to house the indicators in concept form. The interior gained trim improvements and revised switchgear, while mechanically, the Lancia turbo unit was replaced by a rapid blown 2.0 litre variant of the Busso V6. In larger capacity form, the bent six was now available with a 24 valve head and in garish QV livery could also be had with four wheel drive. There was to have been further 164 bodystyles, Fumia having overseen full-sized prototypes for two door coupe, convertible and estate versions, none of which were sanctioned. Certainly the idea of a 164 coupe is a tantalising one, but Fiat’s largesse would only go so far and with Alfa’s withdrawal from the US in 1995 and its 166 replacement well advanced, it was deemed pointless. 164 production ceased in 1997. Overshadowed by the advent of more romantically styled cars that came after it, the 164 is largely ignored now. 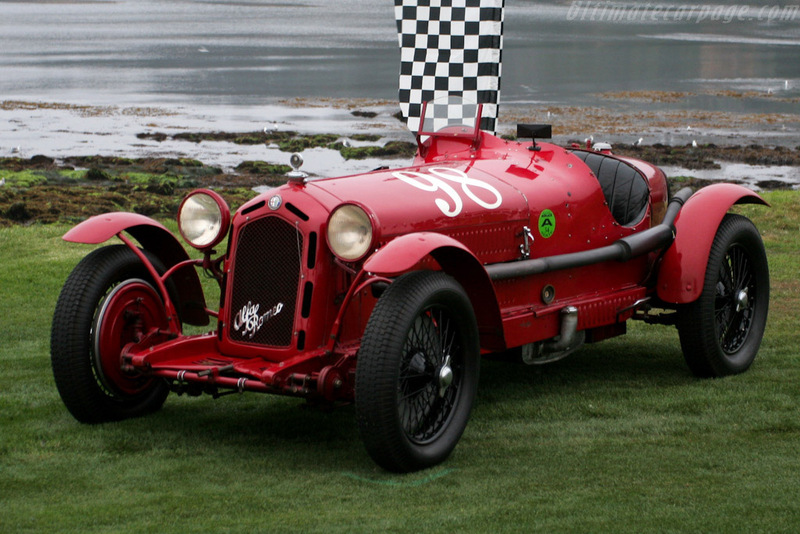 But it was a hugely significant car for Alfa Romeo. It gave them credibility after years of maddeningly uneven product and proved a stylistic trailblazer, heralding a move back towards more angular, dart-like shapes, which would be made flesh in the related Peugeot 405/605 models, Citroën’s XM which (arguably) shared some styling features, if not its overall theme and of course, in-house Alfa designs like the superb 145 hatchback. Harald Wester ought to have done his homework. If you want an illustration of Alfa’s nadir, the Fiat-developed 155 of 1992 immediately suggests itself. Ungainly, shoddy and mercifully short-lived, it was expedience writ poster-size, ETCC success notwithstanding. The 164 marked a new chapter for Arese, one Fiat in their habitual inconsistent manner failed to capitalise on. Would that today’s much ballyhooed last chance saloon from the Biscione was even a fraction as desirable. Wow, I’ve been looking for a picture of the original Pininfarina mockup for ages. If only it had been built in RWD guise as originally envisioned. A brilliant piece, thank you Eóin. The 164 was the first Alfa after a long period of time that could be bought because of its looks and not instead of them and for which (nearly) no excuses had to be made. The first production run was very susceptible to torque steer and wouldn’t drive in a straight line under power. Alfa reacted quickly by mounting the engine thirty millimetres lower, allowing the drive shafts to run in a straight line and not at an angle, greatly reducing the handling trouble. The 164 was a wonderful car. Its engines gave any BMW a good run for the money and its agile and sure footed handling was fun on back roads at a time when the BMW Five more and more became a pure supersonic speed autobahn burner. The biggest problem were the high maintenance costs because to adjust the valve clearance on the rearward facing cylinder bank half the engine had to be ripped apart. The engines were quite durable taking into account the fact that the average Alfa driver’s right foot is made from lead. Great article about a memorable car which instantly seems to hit the bullseye. I remember one commentator stating that the 164’s styling had that same balance and immediate sense of effortlessness as the Supermarine Spitfire and, oddly, it stayed with me as a very left field but accurate point if view. Wester should indeed hang his head in shame at his inaccurate and offensive comment. I see a beautiful red 164 V6 regularly and it still stands out for its stance, raffish good looks and nice details. It beats any Audi or BMW saloon of today, and I like it better than the current Giulia too. The only fault with the 164’s styling was that Pininfarina recycled it for the Peugeot 605 and 405, something Alfa’s managers absolutely disliked. The styling also was very colour sensitive, dark colours like metallic green or anthracite looked good and silver made the car look very small – like the side view of the facelifted car in this article. Dave: I’d agree with that. Still, it’s a tricky one to put one’s finger on why the simple surfaces and tidy details of the 164 add up to a very purposeful and confident car when the same general idea can lead to the Tagora. There must be an answer but I don’t know what it is. Another feature of this car is shown by SV’s remarks. It’s a car that invites metaphors, description, comparison and interpretation. Quite simply there is a lot to say about it in the way few contemporary cars do. Could one write 1000 interesting words on the new Giulia’s appearance? The 164 activates the imagination and ordinary cars don’t (maybe the philosopher Kant might be relevant here or else Roger Scruton). Here’s a conudrum: the 164 a car of simple surfaces and few elements but it is very, very striking indeed. The Talbot Tagora seemed to aim at the same goal and ended up being very anodyne. The conundrum is about how exactly Alfa managed give what is a fairly “industrial design” form so much impact without it being obvious as to where the character resides. Isn’t this a common characteristic of all the best Pininfarina designs? Fumia’s styling was remarkably consistent – the theme was there from the early renders, through to the very first styling models, simply refined and finessed. I guess it illustrates that a strong theme will out, regardless. What is also interesting about it is that it also adheres to Cressoni’s original theme, but lends it a delicacy and nuance his car lacks. Apparently, Alfa management ultimately found the choice between the two proposals a very difficult one, with a lot of support for the Cressoni offering. The Fumia proposal as shown above featured two opening panels either side of the Scudetto, which allowed cooling air to flow. These were either to have been powered or spring loaded, and apparently had the support of Surace in engineering. They were deleted for cost reasons I believe. I think the kerfuffle over the 405 is overstated. Yes, there is a clear resemblance but in the metal, you’d never mistake one from the other. The story goes that when the 164 appeared in some doubt (owing to Alfa’s parlous finances) Pininfarina offered the style to Peugeot. This I doubt. All of the Italian carrozzerie (and Pininfarina especially) developed a house style which they bent and stretched for a variety of clients. Despite this, it is the Alfa we remember, since it is the strongest and most pure expression. It’s also a bloody good piece of styling. Period. The main reason the issue arose at all is that owing to Fiat’s (probably wise) decision to extend the 164’s proving, Peugeot rushed the 405 out (prematurely as it turned out as quality was abysmal). Had it been the other way round, everyone would have said Peugeot copied Alfa. It’s been said that this was the reason Fiat took their styling in-house. Again, I’m unconvinced. That was going to happen anyway, as it was an almost universal trend by the early ’90s. Branding was becoming the thing and why adhere to someone else’s house style when you could develop one of your own. The carrozzerie didn’t really see that one coming – or it they did, they chose to ignore it. Torque steer was an issue with the early cars, yes and I believe the 2.0 Twin Spark was the sweetest of them owing to its lighter front end and less peaky power delivery than the rather frenetic Thema turbo unit, (sans balance shafts btw). The venerable Alfa twin cam was also by far the most durable. Wester’s comments simply showed how faint the current regime’s grasp is of the stuff that actually matters. Alfa through gritted teeth produced a really accomplished, thoroughly developed (exclamation mark) and brilliantly styled car. It should be held aloft as one of the greats, but of course – wrong wheel drive. I take you meant to write 605, not 405? The resemblance with the smaller Peugeot saloon is less striking here, but it’s interesting it gets a mention as it reminded me how Peugeot had a fairly coherent range back then, something Alfa (and Lancia, and Fiat to a lesser extent) could only have dreamt of. No Laurent, I meant the 405. This was the car the press latched onto when comparisons were made, being revealed several months ahead of the Alfa. The 605 is to all intents and purposes a 405 on a larger canvas, so merely compounded the matter. Frankly I never mistook one from the other in any instance, and my belief is that it’s a bit of a non-story. The 164 stands on its own four wheels, so to speak. Regarding Peugeot, Gerard Welter worked very successfully in collaboration with Pininfarina. His solo material left a good deal less to be desired. I second this view completely! How does the Saab 9000 fit into this story? That was based on the same platform, no? It was, if I recall correctly, presented as a shared engineering project between FIAT and Saab, although the truth might have been different. From my understanding, the Type Four programme came about when Saab and Lancia agreed to collaborate on a large saloon, which Fiat would subsequently benefit from. Alfa came to it a little later. Lancia led the project and set the initial parameters, however, quite early on, Saab went their own way in a number of key areas, notably insisting on the use of their own design of beam axle rear suspension and 15 inch diameter wheels. This was a decision based on local requirements, for which Lancia felt they didn’t need to bother themselves with and anyway, they wanted to use a version of the Gamma’s rear end. Ultimately, the cars shared a good deal of their inner body structure, (particularly at the engine compartment/bulkhead), elements of the front suspension, floorpan and of course, door pressings. However both Saab and Lancia differ slightly in most dimensions, but most notably in width – the Swedish design apparently being 4.5 in wider. The Saab weighs more, perhaps owing to the body stiffening to allow for its hatchback, but the Thema was noted for a lack of body rigidity – a matter addressed with the facelifted ‘SuperThema’ which came later. Inevitably, the Fiat Croma shared a lot more of its body structure and mechanical componentry with the Thema, while the Alfa 164 was the least related, both bodily and mechanically. The main benefit for both Saab and Alfa Romeo was probably the saving in development costs – being shared across the board – and the reduced time taken in getting the cars to market. Saab already had a business connection to Lancia as they sold Valmet-built Deltas as Saab 600. The development efforts of Saab and Fiat/Lancia went different paths very early because the Swedes had their own ideas about crashworthiness of the new car. The Saab 9000 and the Fiat/Lancia pair share very little, not even the doors are interchangeable even if they look the same. In the end, the Saab looked very similar but was very different and the Alfa looked very different but shared the complete mechanical layout right down to its Camuffo rear suspension. It has been said that Saab engineers were not satisfied with Lancia’s calculations regarding crushability and wanted to impose their own. While this may be true, what it betrays more are the financial strictures Camuffo was working under (he’d hardly have wanted to build a less safe vehicle). It does appear however that the parts count in commonality terms is very small twixt Thema and 9000. I’m not entirely convinced by the statement that the 164 shared the Thema’s mechanical layout. (Not that there was anything wrong with it I stress). It may have looked similar on paper, but in fact I’d imagine there was very little interchangeability. I also believe the 164 employed a front subframe, which the Thema lacked. How similar is the Alfa to its Fiat/Lancia siblings? The gearbox is interchangeable, the front suspension wishbones are the same, cheap L-shaped pressings, the suspension struts are externally identical and are to a typical Fiat design, the rear suspension links are the same, the rear struts look identical. The car from the Fiat/Lancia/Alfa trio with the most differences is the Thema 8.32 which in its front suspension has many parts of its own. That got better with the 166, where Alfa could use a double whishbone front and a multi link rear suspension specific to the car. Suffice to say, as my friend found out, there is almost nothing that is directly interchangeable between a Thema and 9000 – I think from memory the official count is seven or eight parts. As a f’rinstance, take a look at the exterior door mirrors on a 9000 sometime. For no apparent reason whatsoever, Saab obviously decided that the mirror covers on the Thema were inadequate. Their change involved introducing a parallelogram-shaped indent in the cover. Just bizarre. As Dave says, there is a decent amount of interchangeability underneath between the 164 and Thema – not 100%, but way more than between the Thema and 9000, notwithstanding the superficial similarity of the Saab and Lancia on top. What strikes me now with the 164 is how much of a coherent whole it is, I say it is the artists touch that makes it complete. Even if most of the thoughts was already there Pininfarina took those thoughts and extended that into it’s most logical progression, as interpreted by an artist. It’s all about lines and sense of proportion and correlation with all the other lines. It is very clear to me that all lines are set in context to the whole of the car, there isn’t a line that doesn’t correlate. Change one line, and it destroys the completeness. Change the rake or an angle, and it just wouldn’t look “right”. It’s a sculptural mass, they worked on it like they chiseled a giant slab of marble. There is a Sense of “rightness” to the whole, they worked on it like stonemasons until the exact “right” moment where nothing could be either added or subtracted to it. To me, that is the true call mark of a real artist, working hands on leaving a literal artists touch. Ingvar: rather than reply here I will suggest you take a look at tomorrow´s item where the 164 gets another mention. I will say your point about wholeness/the whole is an essential one. There´s an essay about perception in that. To me still the most desirable Alfa ever. The facelift of the 164 is one of the very few examples at Fiat / Lancia / Alfa that makes the car look better and more modern than before. This car was and still is one of my dream cars. Not only because of the elegance of the Pininfarina lines, but also because of the futuristic dashboard and the brilliant engines. But – while dreaming of an Alfa 164 V6 Super in red, i would have chosen the cheaper and much more reasonable Peugeot 405, nearly as elegant as the 164. And hundreds of thousand persian customers are still doing this every year. Do they know pininfarina and the Alfa 164? I wasn’t aware of the history behind the 164, very interesting reading thanks Eóin. That said I seem to be in a minority of one when it comes to this car. I still see one quite regularly driving, testament to it’s durability (haven’t seen a 166 in ages). I used to get an occasional lift in one (2 litre) and always thought it was a little dreary. I read the article and comments and reappraised the car to see what I was missing. I admit dreary might be a little harsh but there is nothing that really excites me when I see one. It always struck me as if it were the basic spec car no matter what has been specified. It’s well proportioned alright but I always feel there’s something missing as if a corner (that I can’t quite put my finger on) has been cut. Are you sure you mean the 164 and not the 166? I notice too that 166s are gone and 164s more “common”. Electronics, I expect plus the 166 didn’t really sell that well: 100,000 to the 164’s 300,000. Incidentally, the benchmark loser big car, the 604 sold 150,000 units. Yes, haven’t seen a 166 in a long time. Well, I see one in my neighbourhood and nowhere else. It’s a grubby metallic grey example. It’s late-to-market syndrome, to some extent. I remember that the 156 took priority while the 166 proposal went back to the studio for revision. By the time it appeared it had lost 24-30 months of sales (and the corresponding customers). Even had it arrived exactly as the 164 stopped it’d have faced an upslope battle. Lesson: get the cars to market on a steady schedule and never let a model stop without having a replacement the same month. Have Audi, BMW or MB ever noticeably had a gap in their range replacement roster? Have they ever been late to market? The 166 indeed hat a break in its development. Originally the 166 was intended to go to market in 1997 and the 156 was scheduled for 1998. But as sales of the 155 slipped alarmingly, work on the 166 was stopped and all available ressources were shoved at bringing the 156 forward for a 1997 presentation. The result was that the 156 was half ready and the 166 was late. In reality, the 166 was a big improvement on the 164 as a car (I owned both, so had the opportunity to compare). Its engines had the power they deserved (and much lower maintenance costs with hydraulic tappets) and the chassis kept the older car’s agility but lost its sometimes annoying harshness. Against a Five BMW it was too little, too late. On a personal note I believe that a big factor in Alfa’s (Alfas’) failure in the market not to be underestimated is their dealer network and the service or rather lack thereof they give to their customers. After more than twenty-five years of Alfa ownership I gave up because I was no longer prepared to suffer the permanent discussions and disservice trouble with my dealer – the importer’s headquarter and workshop in our country. Speaking of which, I saw a Laguna Coupe the other day and again found my very cockles warmed at the sight of it – it’s a rare thing here in the UK, I think, but rather lovely; I always thought it would have done better sold as a Renault Sport model, but alas La Regie (as we used to know that good ship) obviously felt otherwise and it was culled along with a lot of other interesting marginal Renaults in the UK in what was a rather baffling retrenchment a good few years ago now.